"But Mommy...you're just a girl!" I came to a complete halt as I was shocked that these words came out of my 8-year-old daughter's mouth. I'm raising one son and three daughters and not only have I tried to instill in them, but even more so LIVE by, the firm belief that a girl can do anything a boy can do; just as a woman can do anything a man can do. 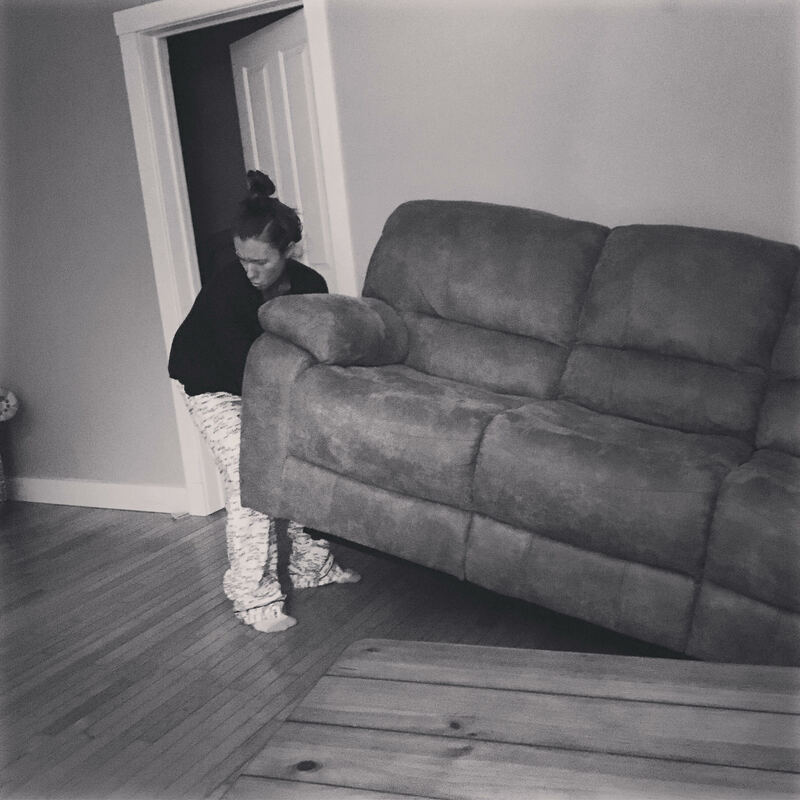 As I was opposite of my husband, I thought to myself as I struggled to hold up the other end of our heavy sofa, "By God I will move this couch. I may fumble a time or two, I may be winded trying to get this darn thing from point A to point B, but I WILL do it." At that point, saying I couldn't continue to move it, well ... it wasn't an option for me. I felt that her six words to me would forever chime loudly through my head, the day I dropped the couch saying it was too much for Mommy ... because after all, she was just a girl. But it wasn't just about this couch. Or about this move, or this particular afternoon. It was about my daughter's eyes being on me all the time, even when I didn't realize it. It was about me not just telling her that she could do anything that any young boy or man could do, but showing her. It was about being living proof to her that a woman could find strength even when it appeared to be a man's job. It was simply demonstrating a woman could carry the weight of something that may appear to be too much for a female to bear. It was about instilling into her that every woman should never back down to something, especially from feeling inadequate or inferior ... or even something that at first proves to be difficult. After I sat that couch down in its new spot, slightly winded and my arms wobbly, I walked over to my daughter who was watching and waiting across the room. I released a big sigh as I sat next to her, smiled, caught my breath and said, "Yes, Mommy IS just a girl. But you see, girls, well ... girls can do ANYTHING!" She looked down as she both blushed and giggled, but nestled up into my side. After a few moments she raised those big, beautiful, baby brown eyes and proudly said, "You did it, Mommy." I smiled back and as a lump somehow found its way into my throat so quickly I almost gasped, "Yes, Baby. Yes...I....did."